Parliamentarian Reggie Ranatunga passed away today at a private hospital in Colombo after a brief illness. I never knew him personally but as an Anandian just few years junior to Arjuna Ranatunga (Arjuna aiya to most of us) I knew about the Ranatunga family. The first time I saw Mr. Reggie Ranatunga was at a felicitation for Arjuna we had at the Kularatne hall at Ananda College immediately after the first test where he scored half a century against England. He was just 18 and the youngest of the team. Mr. Ranatunga’s wife Ms. Nandani Ranatunga too was a teacher at Ananda College though she taught only to Arts students. I have heard when our then Proncipla Col. G. W. Rajapakse invited her to join the staff the only condition she put was to take her sons to the college. He agreed and it was a vice decision. That was how Ananda College could produce a test captain who brought glory to motherland by winning the World Cup in 1996. I wish Mr. Reggie Ranatunga attain Nibbana. I pass my condolences to the family. 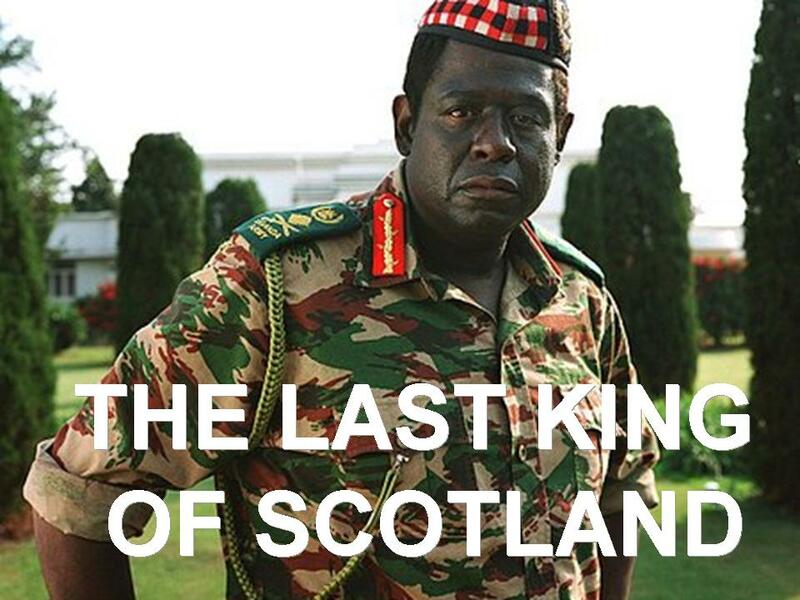 If the Keith Noyahr incident brings back the memories of any movie, it would be ‘The Last King of Scotland’ It is based on a true story about young and newly-qualified Scottish doctor Nicholas Garrigan (James McAvoy) heading to Idi Amin’s Uganda seeking adventure. He works in a small clinic on the countryside. At the time of Garrigan’s arrival, General Idi Amin (Forest Whitaker) leads a coup against current president Milton Obote. Garrigan and Amin meet on a chance encounter on a country road, where he treats Amin’s hand. Amin is impressed when Garrigan takes his gun (without asking) and shoots a wounded cow. He likes Garrigan because he is Scottish, and offers Garrigan the job of becoming his personal physician, and, after some hesitation, Garrigan accepts. The movie builds up the close relationship between the two until the dictator loses trust on his doctor. The scariest scenes of the movie, that would perhaps make the more sensitive audience vomit, are how Garrigan was beaten and tortured nearly to death by Idi Amin’s ruthless thugs. He escapes only because of a Ugandan colleague, Dr. Junju, who offers his help (and ultimately his life) in exchange for Garrigan’s promise to return to Europe and tell the world the truth about Idi Amin. Now, wasn’t that the same happened to Keith Noyahr last Thursday night? Wasn’t he too was beaten nearly to death? Who was behind that? Was it an NGO initiated move to discredit the government, as we are told? Or was it an abduction by Martians? 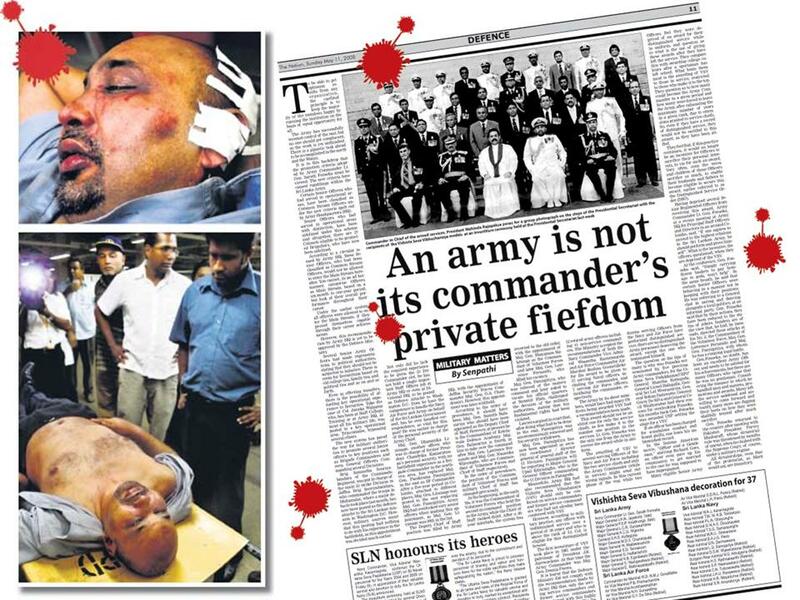 This is what ‘The Nation’ has to say about the incident to the President in its editorial today. What the country needs from you now is the political will to put an end to this type of savagery. And that direction has to come from you, not from your pathetic minister of mass media and information or from your omnipotent doctor-minister of labour- or even from your younger sibling the Defence Secretary. This country does not need a ‘fifth estate’ that decides who should live and who should die, who should be punished and who should be rewarded, who should say what and what everyone else should believe. 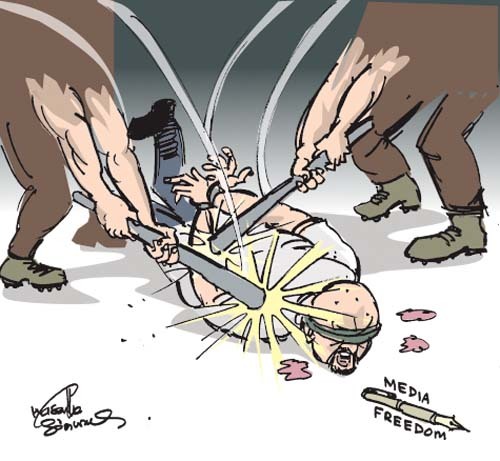 The fourth estate is there to do its job and it will-it does not need a ‘fifth estate’ telling them what to do. And that is why, Mr. President, you would have to take steps to stop the rot – and do so now. After all, it is but a short step from the sublime to the ridiculous – as it would be, from Mahinda to Mugabe. Well, one also observes in the map of African continent, Mugabe’s Zimbabwe is not too far from Uganda. If President Rajapakse ever wants to travel from one to the other, we assume it might take only a few hours flight. The Nation deputy editor and former Daily Mirror deputy editor Keith Noyhar has been reported missing and suspected to have been abducted after his car was found abandoned near his house yesterday night, Daily Mirror reported. 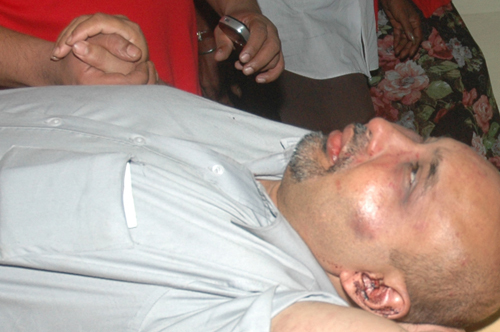 Later he was released after badly beaten up, and had been admitted to the hospital. One might say it is too early to point fingers as investigations are still going on. One may even suggest (I am sure Anura Priyadharshana Yapa will do) personal motives. If one wants one can even suggest this was done by aliens. (Reports of alien abductions of human beings are common) However Keith Noyhar is not the only Sri Lankan journalist to meet such unfortunate fate during the last few years and I am sure any rational mind can put two and two together. Most interesting is what Mahinda Chinthana promised to media personal in Sri Lanka in 2005, which I reproduce below (Pages 81 and 82 of Mahinda Chinthana). Not sure how many media personnel voted and supported for the ‘baits’ of tax free computers and vehicles, but it is apparent now that is not what in for them. 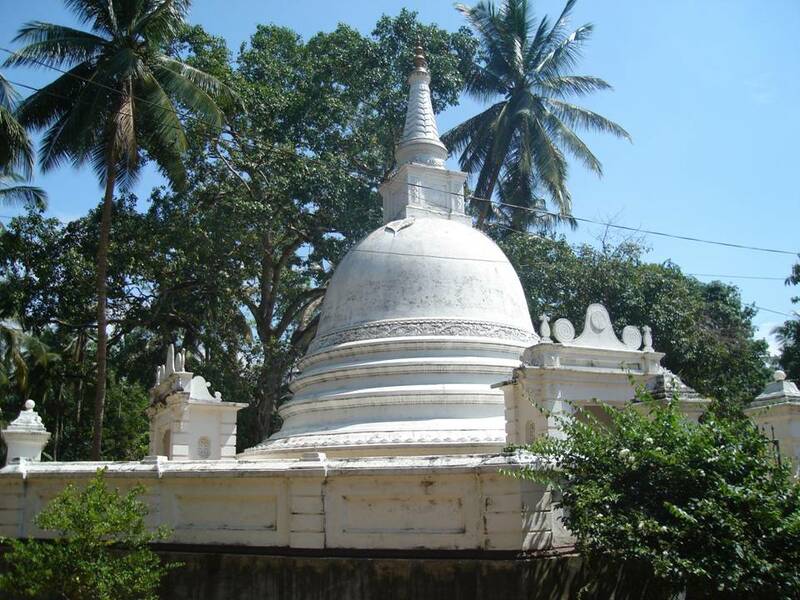 Ramukkana Raja Maha Viharaya, situated close to Bandaragama along the Horana Road, may not be as large as some other temples in the area. Not having referred in ancient literature repeatedly it may not also be that well known. However, this is a unique place in the history of Raigampura kingdom. 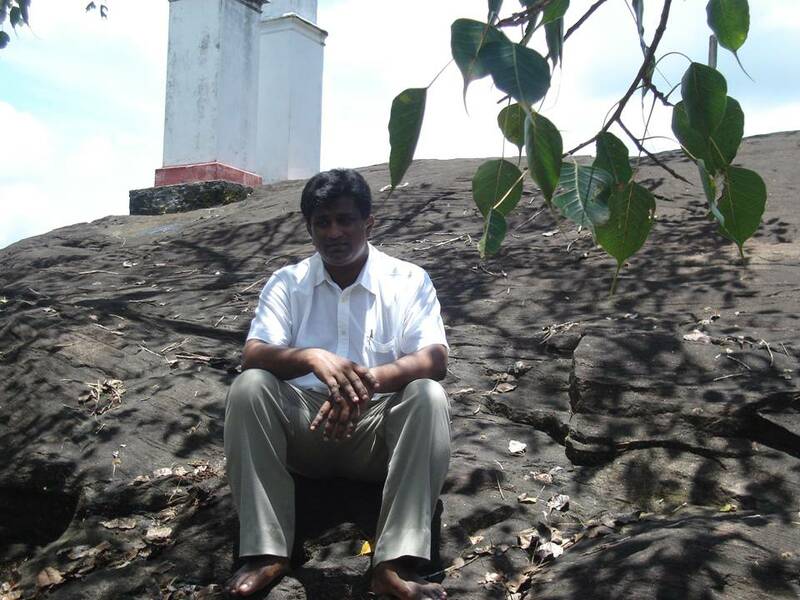 It is from the land of this temple that perhaps the oldest rock inscription in the Western province was discovered in 1997 during the renovation of the temple. 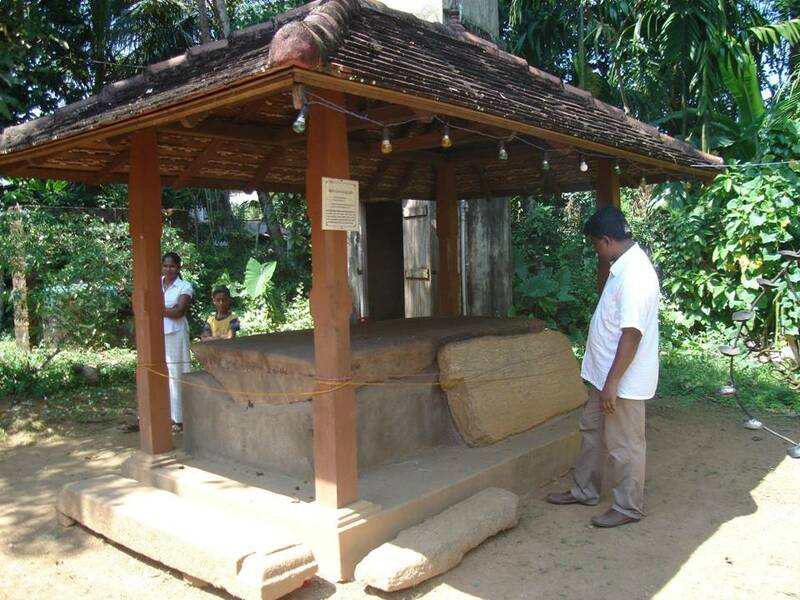 This inscription is now named as ‘Ramukkana Raja Maha Vihara Puvaru Lipiya’ – because it is written on a ‘stone slab’(gal puvaruva) In 1998, it was read by Raj Somadeva of the Post Graduate Institute of Archeology at University of Kelaniya. With the style of the Brahmi letters he dates it to the period 1st century BC to 1st century AD. In other words it is quite possible that this was done by the time Jesus Christ was alive and preaching his new found religion in another land. As only part of the rock slab is available it is not clear what the message is. All what we know is it mentions about two ‘Bhanakas’. These were the learned Bhikkus of the day who memorized Dhamma before it was documents during the time of king Walagambahu. There were different groups (guru kulas) of such monks who memorized parts of Sutra Pitaka, ie. Dhiga Nikaya, Majjhima Nikaya, Sanyuktha Nikaya, Anguttara Nikaya and Khuddaka Nikaya. The two Bhanakas mentioned here seemed to have memorized Sanyuktha Nikaya. (Sayutha Banaka) One was named ‘Maha Chittha’ (Machitha) and lived in a temple called ‘Maha Vihara’ – this may be a temple in the same premises but we will never know for sure. Interestingly there could be another twin inscription nearby. However the different interpretations given makes it difficult to date accurately. This was found at ‘Diyagama’ an ancient port of Kalu Ganga, about 3 km from the river mouth. It was also known as the ‘Pelunu Gala’ inscription because the rock it was written has been split in the middle. First discovered in the late 19th century, by Ven Vaskaduve Sri Subhuthi thero, it gained attention of the archeologists after Prof. Muller read and published his interpretation in 1891 AD. He dated it to 5th Century AD based on the message and the style of the characters. However not everybody agrees with his dating and interpretation. Both C. W. Nicholas and C. Jayasinghe who read the inscription later relate it to an earlier period than 5th Century AD. So these two inscriptions could have been done during the same period. Lenawara Rajamaha Viharaya is one of the most picturesque temples within my electorate. 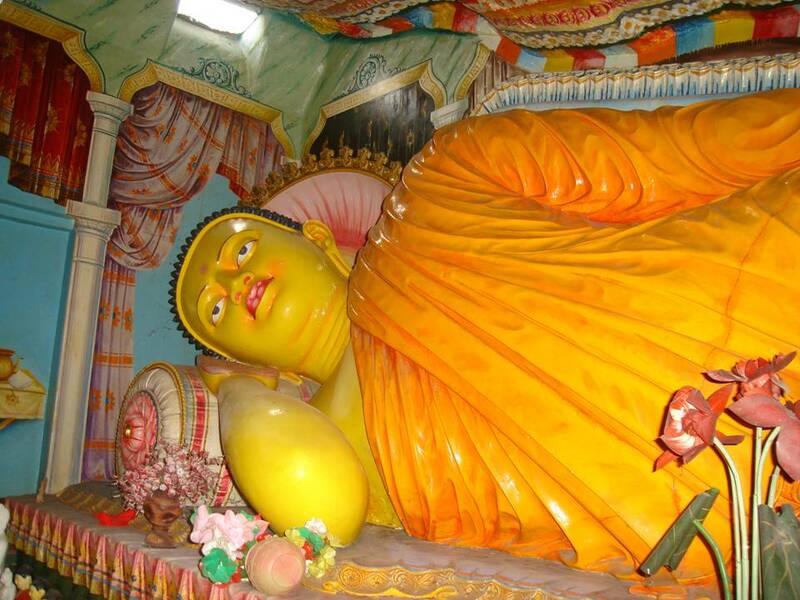 Situated in a pleasant village environs 5 km along Anguruvathota Road, from the Raigama junction in Panadura – Horana Road, this temple virtually takes one to Rajarata. It is difficult to think such environment ever exist so close to Colombo. 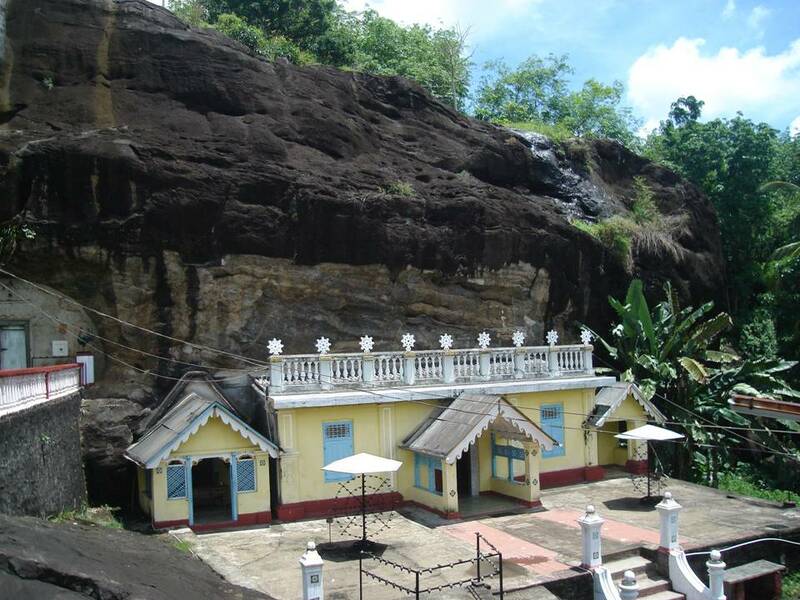 Lenawara Temple is positioned at the top of a natural rock. It can only be reached by climbing a long flight of steps similar to what one sees at Mihintale. There is enough evidence that this had been a flourishing religious institution during the days of king Parakramabahu VI. An inscription by the king at Sunetradevi Pirivena at Pepiliyana records grants made to “Raigam nuwarabada Lenawara gallena Viharaya”. Archeological Department goes even further in naming it the foremost temple in the Western province during the Polonnaruwa period. Difficult to think it survived the Portuguese era during which almost all Buddhist buildings were demolished. Some ancient arts in a cave can clearly be dated to few centuries back. This can be one artifact that remained. It is more logical to assume that the other parts of them temple was built more recently. The shrine room was built in 1946, as indicated above the main entrance to it. 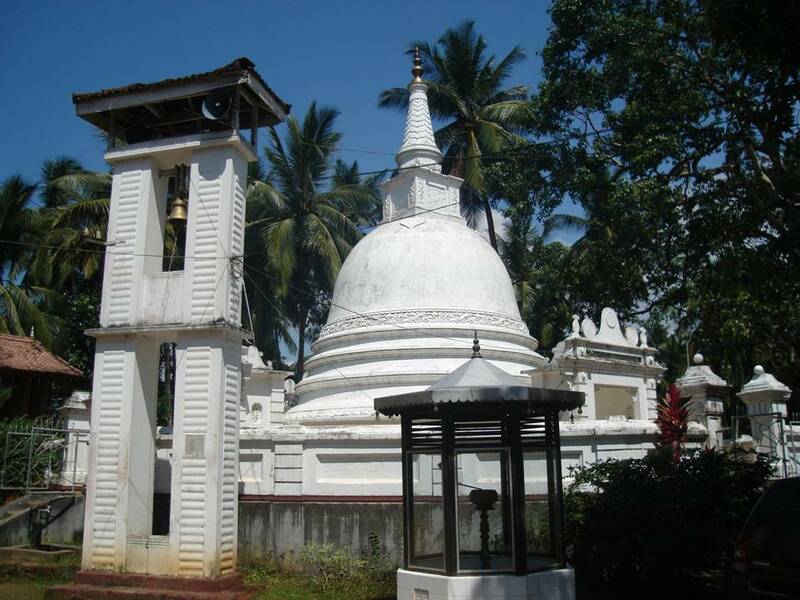 Perhaps the other buildings can be dated to earliest 1930s except the cave with arts – including the images of the Gods Vishnu, Kataragama, Saman and Vibhishana. The sections of the temple are at several different levels. Lowest level hoses the ‘avaasa geya’. This shows some signs of 1040s architecture. Then one climbs few steps to reach the next level with ‘bana maduwa’. About 10 m above is the shrine room, with a long reclining Buddha statue. The door way made of carved stones. Bo Tree is nearby but to the Chaithya is another drastic climb. 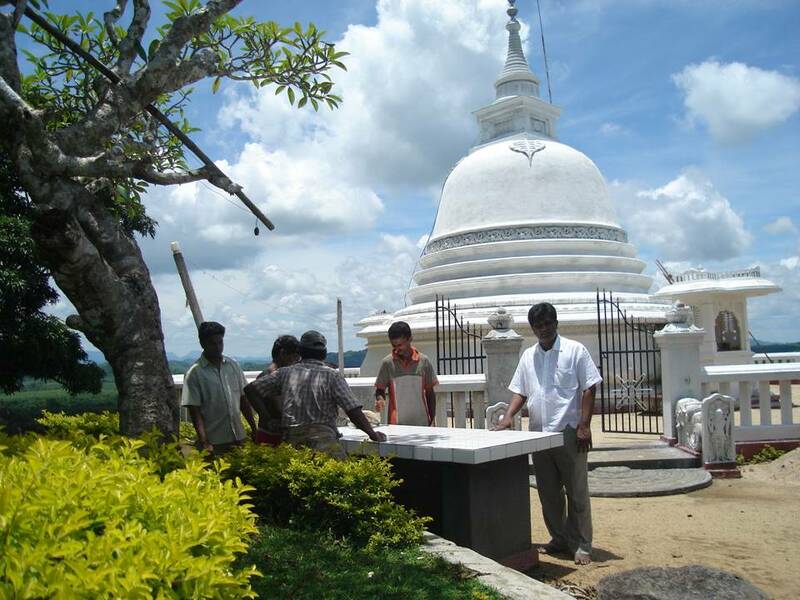 At this top level one can have a panoramic view of Bandaragama. If one takes a turn to right about 30-40 m from the road to shrine room, few more caves on the crock can be seem. The largest is known as ‘Bamunu Lena’ or the cave of the Brahmin. 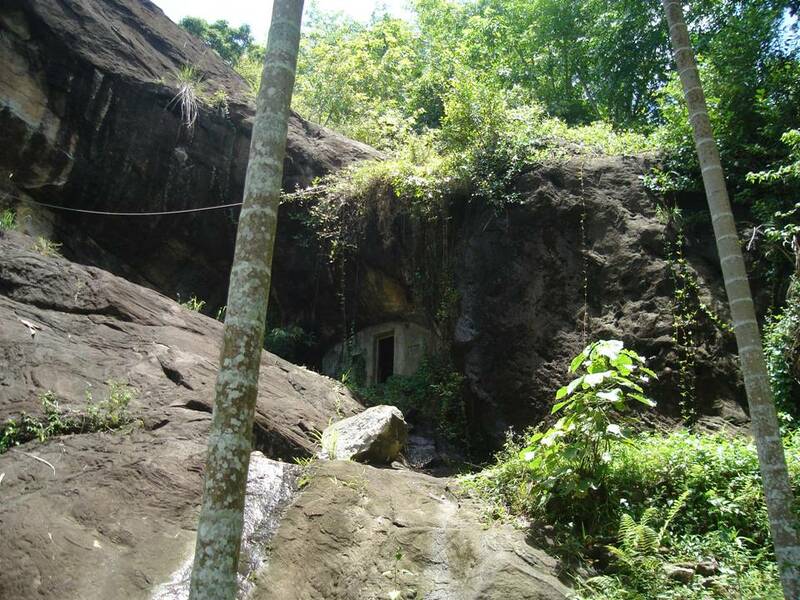 According to local legends a Brahmin with South Indian origins named ‘Ramasundara’ has once lived in this cave. His specialty was treating catarrh. (catarrh = inflation of the mucuous membranes lining the nose and throat, causing an excessive discharge of thick mucus. In Sinhala we call it ‘peenasa’) This Brahamin was also believed to have complied a book on treating catarrh called ‘Peenas Vedakama’ in gold plates to be donated to the king. 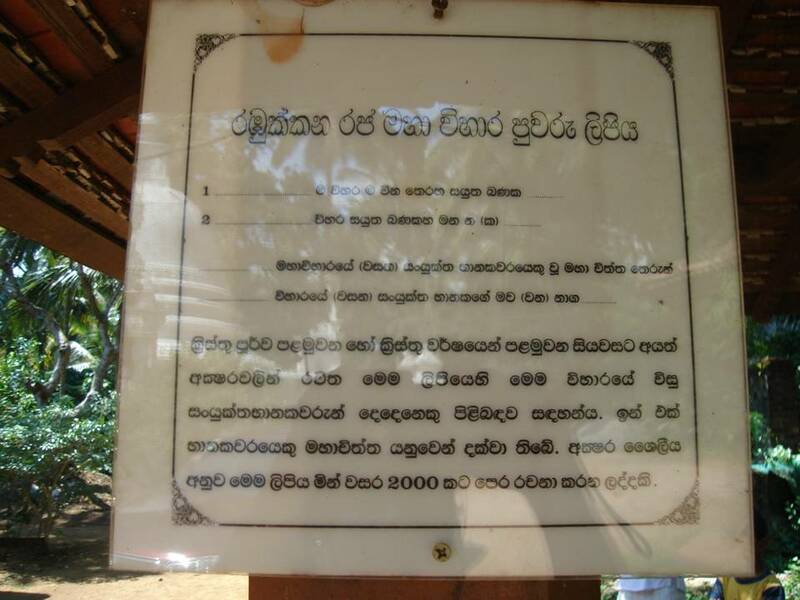 As this ‘waraya’ (donation) took place in a ‘lena’ the place is believed to have the name ‘Lenawara’. I was delighted to hear the launch of the book ‘මගේ හද ගැස්ම’ (literally ‘My Heart Beat’ but a more meaningful translation might be ‘My Pulse’) by my former school-mate (few years senior to me at college) and present colleague former Minister of Mass Communication, Imthiaz Bakeer Markar, at the Kularatne Hall at our alma mater yesterday. This is a compilation of his speeches in parliament. I was invited for this event, but unfortunately could not attend as I was busy with campaigning in the East. Imthiaz Bakeer Markar, was a Member of Parliament from 1988 to 2004 and represented the Kautara district. He was one politician who can speak Sinhala, Tamil and English equally well. The event was graced by Opposition leader Ranil Wickremasinghe and speaker W J M Lokubandara. I am at Lahugala, in the Ampara district. Write this just after finishing another round of campaigning and conducting pocket meetings. 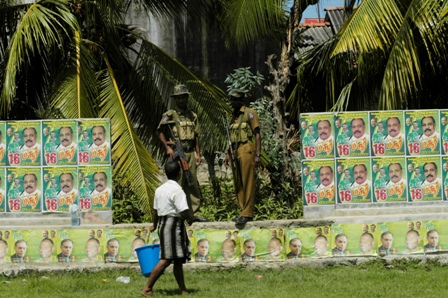 Entire Eastern province has caught the election fever. Election campaigning is fun. What adds to our enthusiasm is the awareness of the impending danger. Pillayan’s henchmen are waiting to kill us. He is a terrorist and should not be trusted. The only shield we have against his arms is the support of the people. Whatever the powers this terrorist has we do not think he can just shoot anyone and flee. But the danger is there, everywhere. We have got over with is now. Pillayan’s terrorism should not stop us in our fight for democracy. Just a brief background of the work I do. 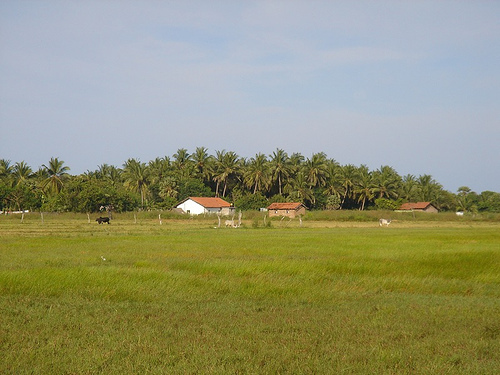 JHU tries to do some campaigning here, with the backing of Pillayan’s gunmen, but without much success. 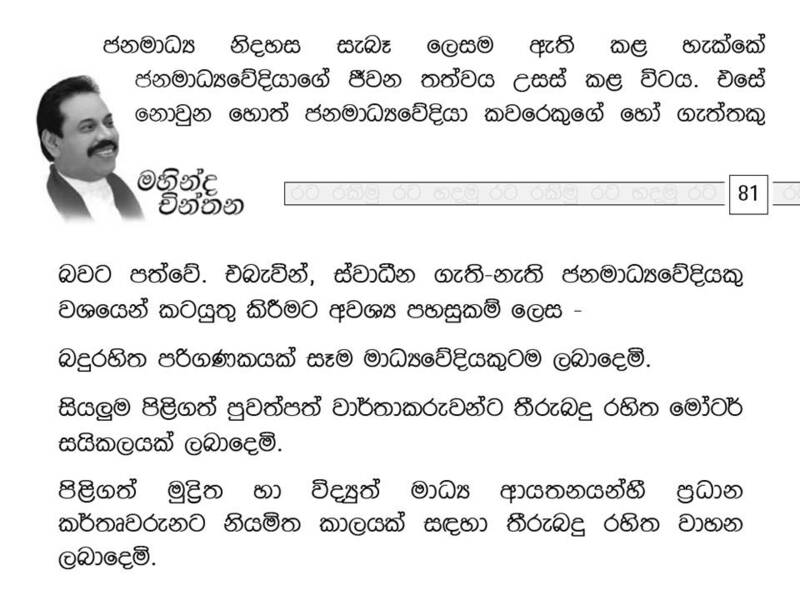 JHU MP Akmeemana Dayaratne thero is using 16 government vehicles. (This is illegal but there is little we can do. Baduth hamuduruvange, naduth hamuduruvange!) We see these government vehicles run everywhere with Pillayan’s henchmen in black sit in the front seats. They do not show arms openly but surely they are under the clothes. People themselves have started responding to JHU campaign negatively. Villagers ask where were all JHU supported when they were in trouble. JHU had to give up their initial idea of having a political meeting at the Lahugala temple, because villagers vehemently opposed it. There is no sign of JVP – either faction. I am still not sure exactly what sort of tricks Pillayan will pay in pool rigging, but even with that I am sure we would win Ampara with a significant margin. That is the level of support we receive at ground level from poor people who no more want to live under the twin tragedies of war and rising cost of living. People are determined to end the suffering and I do not think even the guns of Pillayan can stop that kind of determination.